The many trolley tours available in Boston are some of the most popular tours in the city and, since they also serve as a shuttle service, they are a great way to get around. If you are planning to take one of these trolley tours, such as Old Town Trolley or CityView Trolley, there are a few ways you can save yourself some money on tickets. CityView Trolley Tours is one of the most popular and highly-rated tours in Boston. The tour is a one-hour narrated tour during which riders can hop off and hop on at any time to explore the sites. Groupon offers a CityView Trolley Tour discount for one, two or four people for over 50% off. The more tickets you buy the more you save. The Go Boston Card allows you to ride the Cityview Trolley and also gives you admission to other Boston attractions for one flat price. The Go Boston Card has three different types of passes: the All-inclusive Pass, the Explorer Pass and the Build Your Own Pass. All of these passes include access to the CityView Trolley. The All-Inclusive Pass is particularly useful if you plan on visiting a number of attractions in one day. Since the CityView Trolley is a hop on and hop off service, you can use it to transport you to these attractions. This not only saves you money but it also saves you the time and hassle of trying to find your own way through Boston’s maze of narrow streets. In addition to all these savings, the trolley also serves as transportation to the other attractions available with the card. The Old Town Trolley is another popular and highly-rated trolley tour and shuttle service in Boston. The tour is a one hour 50 minute-long tour that allows riders to hop on and hop off at any time to explore the sites. The Hometown Pass Program allows some Massachusetts residents to buy one full fare adult ticket for the Old Town Trolley and get another one free. The full fare ticket must be purchased at a Historic Tours of America ticket booth or by calling the tour company directly at 855-396-7433. Tickets must not be purchased online and many not be purchased using any discounts or coupons. The pass also allows you to buy one full fare ticket to the Boston Tea Party Museum and get another one free. Trusted Tours and Attractions offers numerous packages for the Old Town Trolley. These aren’t discounts on individual Old Town Trolley tickets themselves but are instead combo tickets that offer an overall discount on all the attractions in the package, including the Old Town Trolley. The Boston Old Town Trolley Tour Package includes a ride on the Old Town Trolley, a free Boston harbor cruise, and free admission to the Old State House Museum. This package is a great way to explore both the city streets and the harbor while also checking out the historic Old State House museum. If you are interested in this package but plan to be in Boston for more than one day, there is also a 2 Day Old Town Trolley Package. The Old Town Trolley and Freedom Trail Package includes a ride on the Old Town Trolley, a guided tour with the Boston Freedom Trail’s A Walk Into History tour, a free Boston harbor cruise and free admission to the Old State House museum. This package is a great deal because it gives you a comprehensive overview of all of Boston’s most famous sites. Although the Old Town Trolley and the walking tour include many of the same Freedom Trail sites, the walking tour focuses more on historical sites while the trolley tour covers many different types of sites that the walking tour doesn’t explore, such as Fenway Park, the Prudential Center, Symphony Hall and the USS Constitution in Charlestown. In addition to all of that the package also includes admission to the museums, which if you are a history fan, are a must-see. Yet another reason to get this package is that the Old Town Trolley is also a shuttle service that brings you directly to all of these locations, saving you both the money and the hassle of navigating your way through Boston on your own. 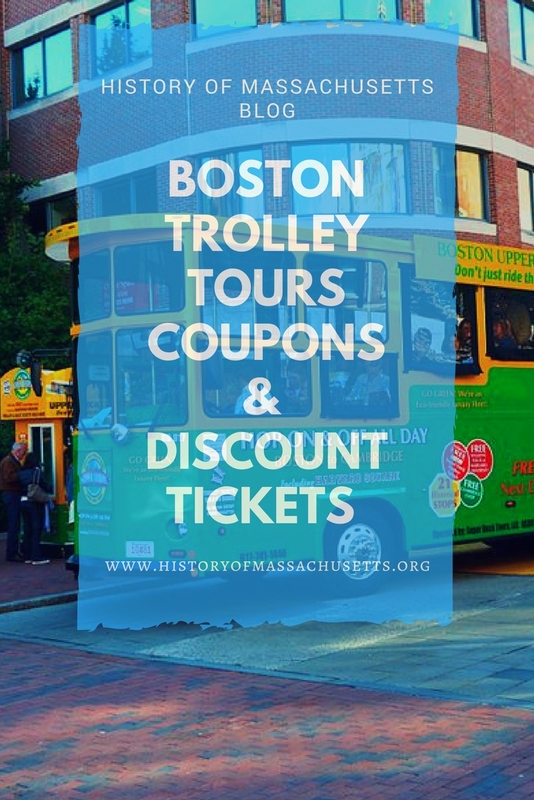 The Old Town Trolley and Boston Duck Tours Package allows you to ride the Old Town Trolley, the Boston Duck Tour, a free Boston harbor cruise and free admission to the Old State House museum. This package is a very thorough way to explore Boston because although the Old Town Trolley and the Boston Duck Tour do cover some of the same historic sites, the Boston Duck Tour covers many more sites that the Old Town Trolley doesn’t, such as the Holocaust Memorial, the Longfellow Bridge, the Zakim Bridge and the Robert Gould Shaw Memorial. The Boston Day and Night Old Town Trolley Package includes a ride on the Old Town Trolley for two consecutive days, a guided tour on the Night Time Ghosts and Gravestones Trolley Tour, a free Boston harbor cruise and free admission to the Old State House Museum. This a really great deal if you like haunted ghost tours and also want to check out Boston’s historic sites and a history museum. The New England Aquarium and Old Town Trolley Boston Package includes a ride on the Old Town Trolley, admission to the New England Aquarium, free admission to the Old State House Museum, and a free Boston harbor cruise. The Old Town Trolley and Whale Watch Package includes a ride on the Old Town Trolley, admission to a whale watch on a high-speed catamaran, free admission to the Old State House Museum, and a free Boston harbor cruise. The Old Town Trolley and Tea Party Package includes a ride on the Old Town Trolley, admission to the Boston Tea Party Ships & Museum, free admission to the Old State House Museum and a free Boston harbor cruise. If you are interested in this package but plan to be in Boston for more than one day, there is also a 2 Day Old Town Trolley and Tea Party Package. These packages from Trusted Tours and Attractions are a great deal if you are actually interested in seeing all of these attractions they include and have the time to do so. If you are only looking for discounted tickets to the trolley, they are probably more money than they are worth to you. 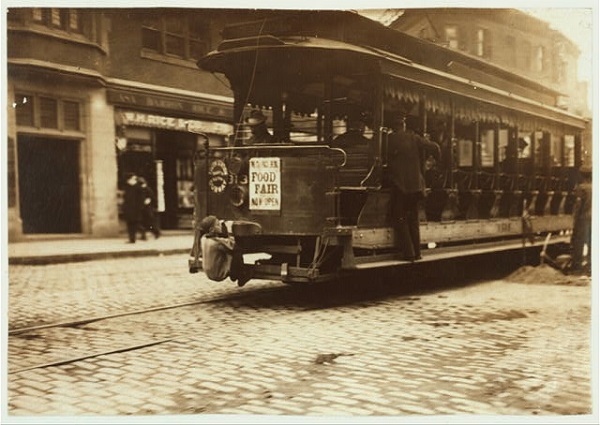 For more info on exploring historic Boston, check out our article on Boston History Tours.